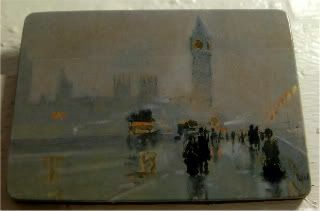 This Childe Hassam painting of Big Ben is exactly where I'd like to be right this second. No secret how much I love London, and London's dreary gloomy weather. And no more than right now, because I'd trade this NYC heatwave in a heartbeat for dreary gloomy London weather.